Take time to read the article today. 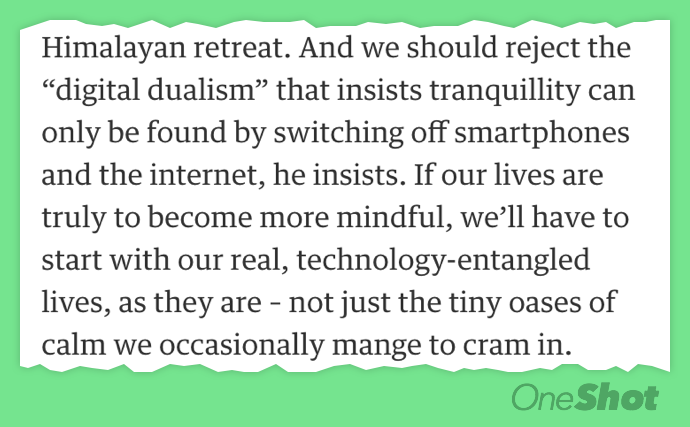 Resist the temptation to click on the many mindfulness resources it offers. Stay with the article and read the subtext – look at the way your are living everyday, don’t just add mindfulness as your new hobby!